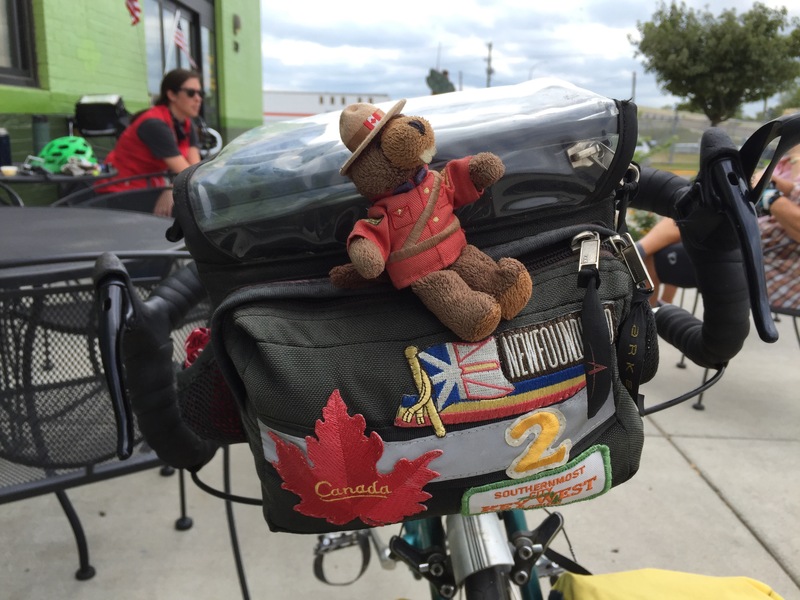 One of my favorite parts about touring by bicycle (and traveling in general) is meeting kindred spirits. 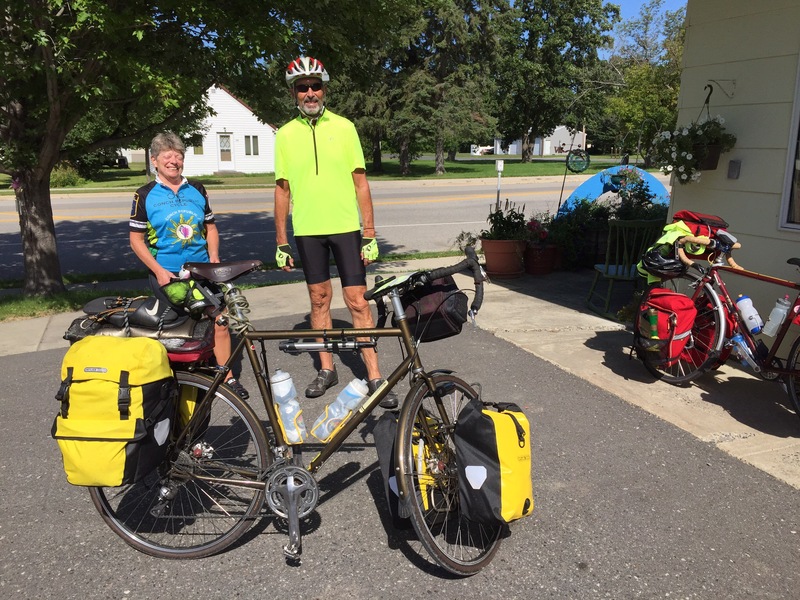 In just our first week, Kristen and I have had the pleasure to encounter two fellow bike packing coupes: Dawn and Bob, retired friends from a bike club in FL and Hob and Deb, retired school teachers hailing from near Hartford, CT. Already, we have crossed paths twice with Dawn and Bob since they are also wending their way down the Mississippi River Trail. When Bob noticed that he had recently bought the same Brooks leather saddle as me, I remarked that his trip would certainly break it in. To my surprise, he replied that he had already logged 6,000 miles on it this year (and I though I was an avid cyclist!). We were lucky enough to catch Deb and Hob on their eastward journey from Seattle, WA to Kennebunkport, ME. 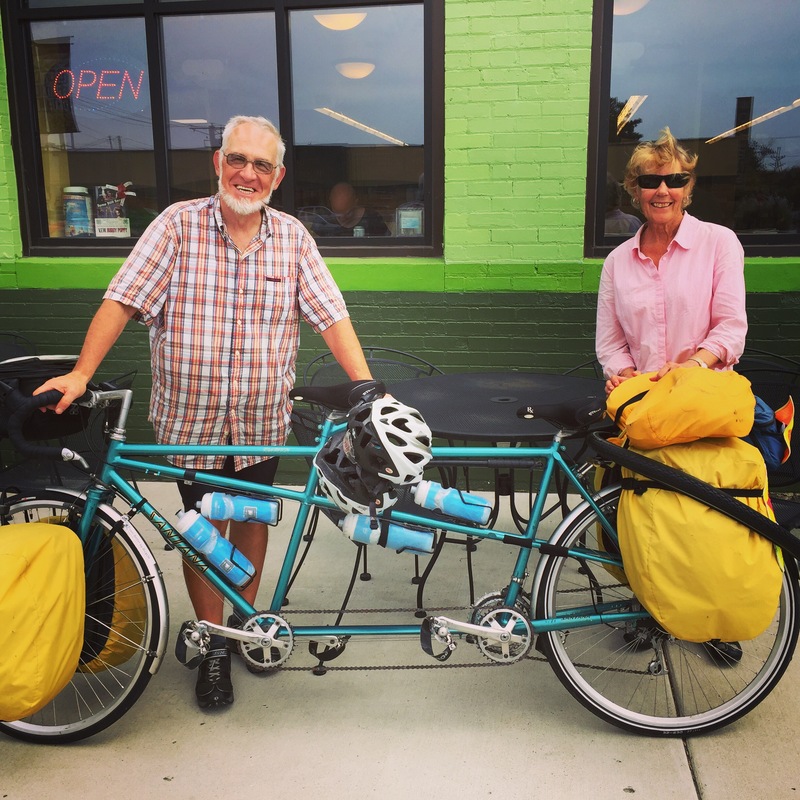 These two are on their 7th trans-U.S. ride and have circumnavigated the globe twice (both N to S and E to W) on their 35-yr-old Santana tandem. By their estimation, the trusty steed has carried them over 100,000 miles over the past decades. This gregarious couple were eager to share stories and advice from their many miles on the road. They lament that they would no longer feel comfortable biking through Afghanistan, Iran or Iraq as they had such pleasant experiences there years before. On their first world tour, they had intended to spend only two weeks in Turkey and ended up spending two months, having fallen in love with the country, the culture and the people. Not surprisingly, both transects Australia, longitudinally and latitudinally, tested their endurance (not to mention water supplies!). Will you be riding the Minnesota or Wisconsin side south of the Twin Cities? If Minnesota, a nice rest stop is Roschen Park, on the south edge of Lake City. Named after my great uncle who helped form the marina there. Sounds like a great ride. A cross-country ride is on my bucket list. Ride safe! Hi Mark! Thanks for the recommendation. We will be spending a few days in the Twin Cities so we’ll definitely check out Roschen Park. Thanks Linda! We areal grateful to be able to have this unforgettable experience. Such a beautiful landscape up here indeed. Looking forward to rolling into the farm in a little over a week!